Waco will always be special to me. Chris and I met on our first day at Baylor, got married in Waco, and lived in the city for our first two years on marriage. For most people, Chip and Joanna Gaines from Fixer Upper put Waco on the map, and it’s so fun to see what they have done for our little college town. 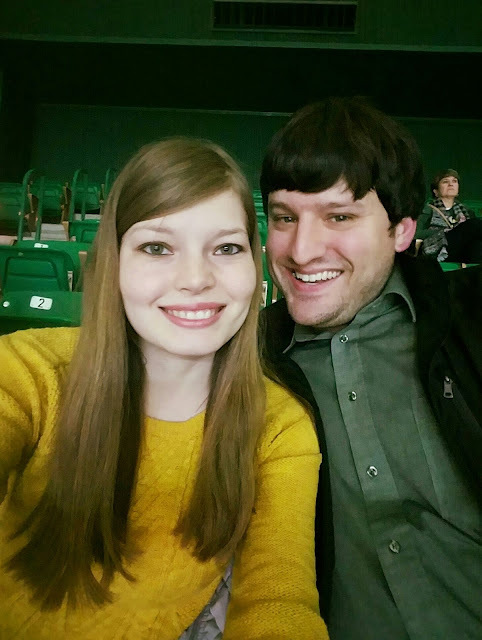 This weekend, Chris and I headed to Waco with my in-laws for a short visit to see what’s new and watch a Baylor basketball game. 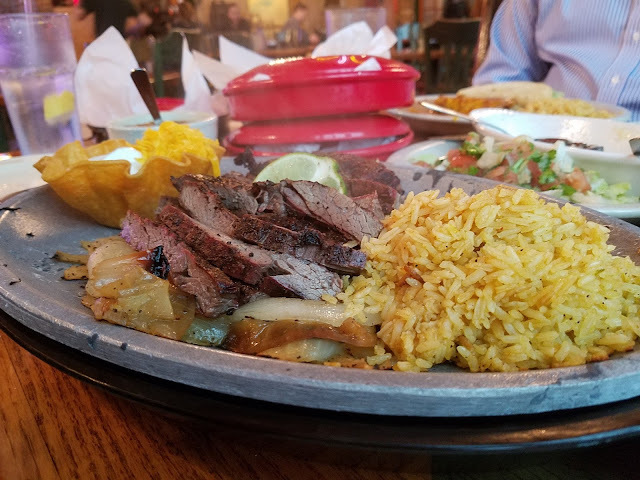 As I mentioned on Friday, we hadn’t been to Waco in two years, so we had to stop by one of our favorite Tex-Mex restaurants in town—Ninfa’s. 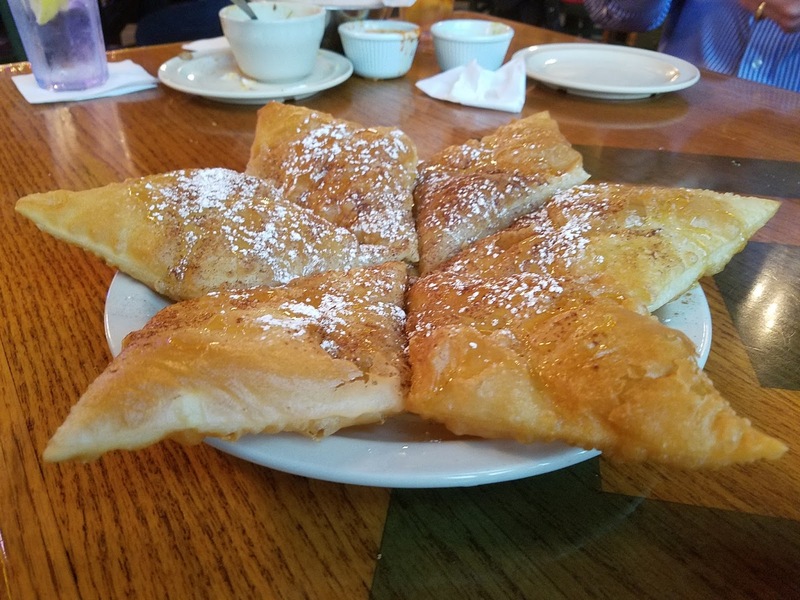 We have celebrated so many big life events at Ninfa’s, and it was always one of our favorite places for date night while in college. They make their own tortillas, which seriously makes such a huge difference. Chris and I shared the fajitas and finished off the meal with some amazing sopapillas. Waco has so many great boutiques, which is why I love Spice Village. Spice Village is a collection of over 90 shops in an adorable space. It’s full of adorable clothes and lots of fun Texas trinkets. My favorite was this adorable Paris display. It made me want to book a ticket to Paris right away! Of course, the highlight of our short trip to Waco was the Baylor basketball game. Although we’ve been back for football games, Chris and I haven’t managed to go to a Baylor basketball since we graduated from college. 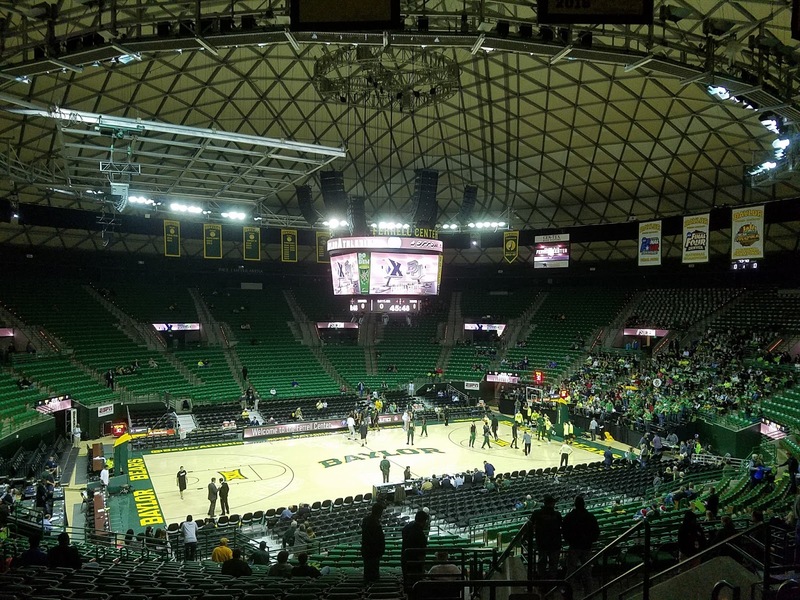 When we found out Baylor was having a Cyber Monday deal where tickets were $5 for a top 10 matchup and Chris wasn’t working that weekend, we knew we had to go. The game was so much fun. Baylor has been playing well so far this year, which made it even more fun to watch. Bill Murray was at the game, which was super random until we discovered his son is an assistant coach for Xavier. The game was really close until the middle of the second half when Baylor really started to dominate. We had a blast being part of all the Baylor traditions again and celebrating a win! Linking up with Biana for Weekending. Have you ever been to a college basketball game? What a fun weekend in Waco! You hit most of my favorites while you were there. :) So cool that Bill Murray was at the game! That Paris display in Spice Village is amazing! What a great weekend. That is so cool that you saw Bill Murray. I hear he is a totally awesome guy. Sounds like such a fun game to have been to, I had no clue Bill Murray's son was an assistant coach! Love that they have all those fun little shops, I totally want to go to Waco one day, seems like such a unique and fun city! Houston has a Ninfa's and I've heard great things about it, one of these date nights we will have to go there, your pictures are making me hungry for it! Sounds like a fun weekend & now you have me craving some Mexican goodness! Ha, ha! I feel pretty much the exact same way about College Station as you do about Waco! It's where Chris and I met and where we went to school and grew up, so it's always so much fun to go back! It looks like y'all had so much fun, and I'm glad that Baylor ended up winning too! I'd like to visit Waco someday! I think it sounds adorable. (Plus I really do want to visit Chip & Jo at the silos. Haha!) It's so adorable that you met Chris on your first day at Baylor! I actually had no idea it was in Waco, haha! I totally thought of Fixer Upper as soon as I saw your post title! :) Looks like you guys had a great weekend, and that food looks amazing! Haha, I thought most would! :) Thanks, lady! It was a blast. Yum! The food at Ninfa's looks SO delish!!! What a fun weekend! Sounds like a great time! I love Fixer Upper, and Waco does seem to have a lot of charm. 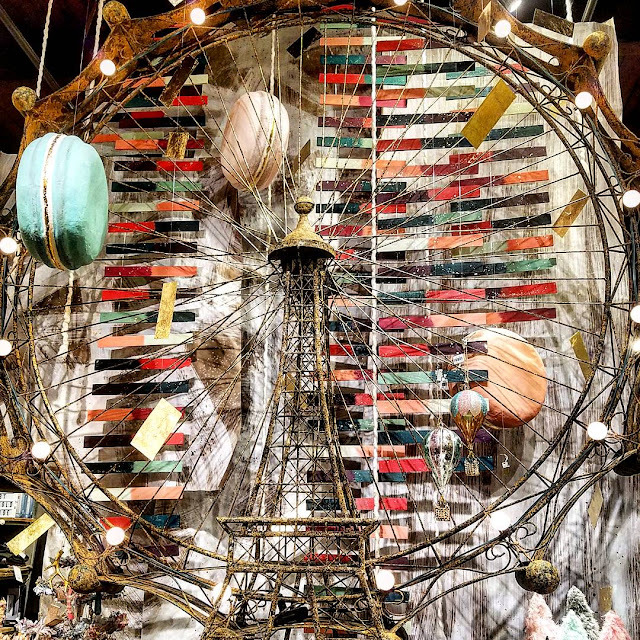 Oh, that Paris display is so lovely! I love coming back to restaurants you love and missed! Homemade tortillas sounds soooo good. Fixer Upper has me wanting to visit Waco badly.